Pr. 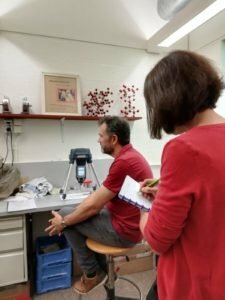 Fr Hartert from the geology department of Liège University performed PXRF analyses on slags from a merovingian settlement in Huy. These found with remains of glass production are slags due to the production of iron. Some traces are unusual for ores for the mosan region…research to be continued.